A new plan to invest in marketing at UND will target three key areas—a University branding study, upgrades to the look and functionality of the UND.edu website and a heavy push on digital advertising. UND archival photo. 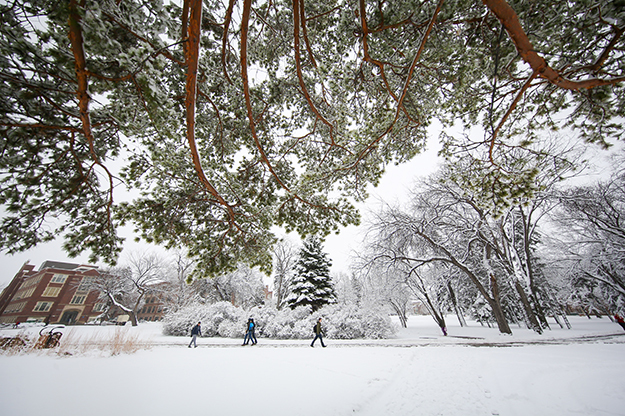 In 2011 and 2012, UND was celebrating its two largest freshman classes on record. Five years later, there are fewer boots on the campus sidewalks and fewer students studying fireside in the Memorial Union. According to the official report released today, spring enrollment is down 350 students from this time last year—a drop of 2.5 percent. And this fall, Jensen suspects UND will see another small dip in the overall enrollment. That’s why, in alignment with the University’s Strategic Planning Committee goal of increasing enrollment, UND plans to invest about $3 million dollars in marketing. 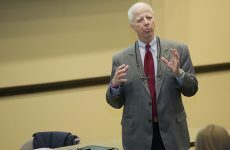 An investment of that caliber may be hard to digest in the midst of budget reductions, but research conducted by Frank Swiontek, interim associate director for Institutional Effectiveness, shows the investment will pay out swiftly. The investment in marketing will target three key areas—a University branding study, upgrades to the look and functionality of the UND.edu website and a heavy push on digital advertising. 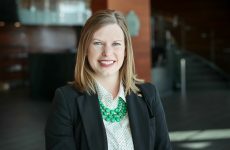 UND Assistant Professor of Marketing Jennifer Stoner brings her academic expertise in branding research to the UND Marketing Council as a member of the branding sub-committee. She said that while many people think that branding is simply colors, a logo and a motto, it goes beyond that. UND has hired a marketing firm to conduct a branding study, which will begin with identifying the University’s strengths, values and priorities. 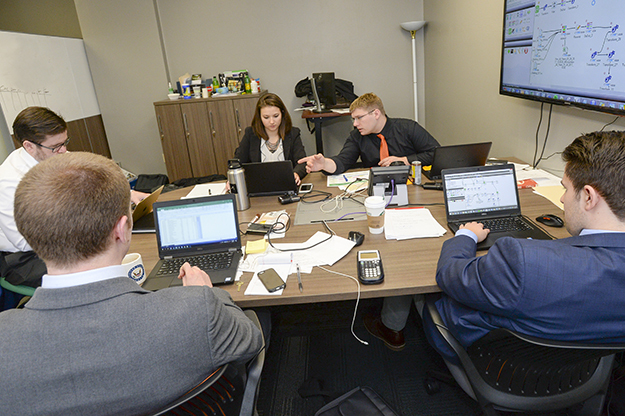 When that process concludes in May, the firm will work with the UND Marketing Council to create a branding plan for campus. UND is also in the process of upgrading its website to be cleaner, easier to navigate and responsive to on-the-go platforms like smartphones and tablets. The upgrade will be a multi-year process with a full rollout expected around April 2018. Associate Professor and Chair of the Communication Department Timothy Pasch is assisting with scholarly research related to responsive websites for enhancing digital recruitment. He says institutions without this resource risk immediately losing applicants if their site doesn’t impress or inspire potential students with its digital innovation. Jensen adds that a modern website is a must for recruiting in two important areas for UND—graduate and online. “Half of our graduate students here are online. If potential students see our website and it’s not mobile-friendly—we’re not telling that student we’re a tech-savvy institution and we’re going to have all of the technology needs to get you your online degree,” Jensen said. Approximately $2.5 million of the $3 million investment in marketing will go into advertising, mostly digital. 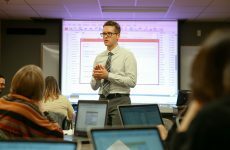 UND will commission a firm to research and analyze recruitment needs, and then offer suggestions on where advertising funds would be best allocated—digitally, in the form of Google and social media ads, online TV/radio subscription ads, search optimization and more, or more tangibly with elements like mailers and merchandise. The urgency to share UND’s story through marketing is not just reactive to flat enrollment numbers and tuition revenue. Capitalizing now is a timing opportunity. UND will push forward with its renewed marketing initiatives to not only maintain and grow enrollment, but to provide the future revenue for the University to continue to grow in other ways—like improving facilities, bringing in the best faculty and creating a top-notch student experience.